russell@zykar.com This domain name for sale for $ 900.00 U.S. The resurrection of Jesus is the Christian belief that, after being put to death to take the punishment for sins, Jesus rose again from the dead. It is the central tenet of Christian theology and part of the Nicene Creed: "On the third day he rose again in accordance with the Scriptures". In the New Testament, after the Romans crucified Jesus, he was anointed and buried in a new tomb by Joseph of Arimathea but God raised him from the dead and he appeared to many people over a span of forty days before he was taken to heaven, to sit at the right hand of God. Christians celebrate the resurrection of Jesus on Easter Sunday, two days after Good Friday, the day of his crucifixion. Easter's date corresponds roughly with Passover, the Jewish observance associated with the Exodus, that is fixed for the night of the Full moon near the time of the spring equinox. 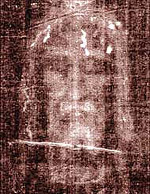 Resurrection of Jesus, Jesus Christ, part of the Resurrection group. 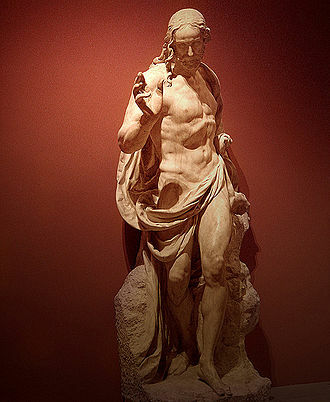 Marble, before 1572. After his death by crucifixion, Jesus was placed in a new tomb which was discovered early Sunday morning to be empty. The New Testament does not include an account of the "moment of resurrection". In the Eastern Church icons do not depict that moment, but show the myrrhbearers and depict scenes of salvation. The major resurrection appearances of Jesus in the canonical gospels (and to a lesser extent other books of the New Testament) are reported to have occurred after his death, burial and resurrection, but prior to his ascension. The synoptic gospels agree that, as the evening came after the crucifixion, Joseph of Arimathea asked Pilate for the body of Jesus, and that, after Pilate granted his request, he covered Jesus' nakedness with a linen cloth and laid it in a tomb. This was in accordance with Mosaic Law, which stated that a person hanged on a tree must not be allowed to remain there at night, but should be buried before sundown. In Matthew, Joseph was identified as "also a disciple of Jesus;" in Mark he was identified as "a respected member of the council (Sanhedrin) who was also himself looking for the Kingdom of God;" in Luke he was identified as "a member of the council, good and righteous, who did not consent to their purpose or deed, and who was looking for the Kingdom of God'" and in John he was identified as "a disciple of Jesus". The Gospel of Mark states that when Joseph asked for Jesus' body, Pilate marvelled that Jesus was already dead, and he summoned the centurion to confirm this before releasing the body to Joseph. John recorded that Joseph was assisted in the burial process by Nicodemus, who brought a mixture of myrrh and aloes and included these spices in the burial clothes per Jewish customs. That passage, along with the phrase that "his soul was not left in hell",[Acts 2:31] is the theological basis behind the statement that "he descended into hell" in the Apostles' Creed. The death state of Christ was considered by theologians such as Thomas Aquinas and related in traditions such as the Harrowing of Hell. Women at the empty tomb, by Fra Angelico, 1437-1446. The linking of the empty tomb tradition and the visit of the women on "the first day of the week;"
Variants have to do with the precise time the women visited the tomb, the number and identity of the women; the purpose of their visit; the appearance of the messenger(s)—angelic or human; their message to the women; and the response of the women. All four gospels report that women were the ones to find the tomb of Jesus empty, although the number varies from one (Mary Magdalene) to an unspecified number. According to Mark and Luke, the announcement of Jesus' resurrection was first made to women. According to Mark and John, Jesus actually appeared first (in Mark 16:9 and John 20:14) to Mary Magdalene alone. "Whereas others found woman not qualified or authorized to teach, the four Gospels have it that the risen Christ commissioned women to proclaim to men, including Peter and the other apostles, the resurrection, foundation of Christianity". In the gospels, especially the synoptics, women play a central role as eyewitnesses at Jesus' death, entombment, and in the discovery of the empty tomb. All three synoptics repeatedly make women the subject of verbs of seeing, clearly presenting them as eyewitnesses. Easter, the preeminent feast that celebrates the resurrection of Jesus, is clearly the earliest Christian festival. Since the earliest Christian times, it has focused on the redemptive act of God in the death and resurrection of Christ. Easter is linked to the Passover and Exodus from Egypt recorded in the Old Testament through the Last Supper and crucifixion that preceded the resurrection. According to the New Testament, Jesus gave the Passover meal a new meaning, as he prepared himself and his disciples for his death in the upper room during the Last Supper. He identified the loaf of bread and cup of wine as symbolizing his body soon to be sacrificed and his blood soon to be shed. 1 Corinthians states, "Get rid of the old yeast that you may be a new batch without yeast—as you really are. For Christ, our Passover lamb, has been sacrificed"; this refers to the Passover requirement to have no yeast in the house and to the allegory of Jesus as the Paschal lamb. In the teachings of the apostolic Church, the resurrection was seen as heralding a new era. Forming a theology of the resurrection fell to the apostle Paul. It was not enough for Paul to simply repeat elementary teachings, but as Hebrews 6:1 states, "go beyond the initial teachings about Christ and advance to maturity". Fundamental to Pauline theology is the connection between Christ's Resurrection and redemption. Paul explained the importance of the resurrection of Jesus as the cause and basis of the hope of Christians to share a similar experience. But Christ really has been raised from the dead. He is the first of all those who will rise. Death came because of what a man did. Rising from the dead also comes because of what a man did. Because of Adam, all people die. So because of Christ, all will be made alive. The Apostolic Fathers, discussed the death and resurrection of Jesus, including Ignatius (50?115), Polycarp (69?155), and Justin Martyr (100?165). Following the conversion of Constantine and the liberating Edict of Milan in 313, the ecumenical councils of the 4th, 5th and 6th centuries, that focused on Christology helped shape the Christian understanding of the redemptive nature of Resurrection, and influenced both the development of its iconography, and its use within Liturgy. Belief in bodily resurrection was a constant note of the Christian church in antiquity. And nowhere was it argued for more strongly than in North Africa. Saint Augustine accepted it at the time of his conversion in 386. Augustine defended Resurrection, and argued that given that Christ has risen, there is Resurrection of the Dead. Moreover, he argued that the death and resurrection of Jesus was for the salvation of man, stating: "to achieve each resurrection of ours, the savior paid with his single life, and he pre-enacted and presented his one and only one by way of sacrament and by way of model. The 5th century theology of Theodore of Mopsuestia provides an insight into the development of the Christian understanding of the redemptive nature of Resurrection. The crucial role of the sacraments in the mediation of salvation was well accepted at the time. In Theodore's representation of the Eucharist, the sacrificial and salvific elements are combined in the "One who saved us and delivered us by the sacrifice of Himself". Theodore's interpretation of the Eucharistic rite is directed towards the triumph over the power of death brought about by the Resurrection. The emphasis on the salvific nature of the Resurrection continued in Christian theology in the next centuries, e.g., in the 8th century Saint John of Damascus wrote that: "...When he had freed those who were bound from the beginning of time, Christ returned again from among the dead, having opened for us the way to resurrection" and Christian iconography of the ensuing years represented that concept. The Chi Rho with a wreath symbolizing the victory of the Resurrection, above Roman soldiers, ca. 350. In the Catacombs of Rome, artists just hinted at the Resurrection by using images from the Old Testament such as the fiery furnace and Daniel in the Lion's den. Depictions prior to the 7th century generally showed secondary events such as the Myrrhbearers at the tomb of Jesus to convey the concept of the Resurrection. An early symbol of the resurrection was the wreathed Chi Rho, whose origin traces to the victory of emperor Constantine I at the Battle of the Milvian Bridge in 312, which he attributed to the use of a cross on the shields of his soldiers. Constantine used the Chi Rho on his standard and his coins showed a labarum with the Chi Rho killing a serpent. The use of a wreath around the Chi Rho symbolizes the victory of the Resurrection over death, and is an early visual representations of the connection between the Crucifixion of Jesus and his triumphal resurrection, as seen in the 4th century sarcophagus of Domitilla. in Rome. Here, in the wreathed Chi Rho the death and resurrection of Christ are shown as inseparable, and the Resurrection is not merely a happy ending tucked at the end of the life of Christ on earth. Given the use of similar symbols on the Roman standard, this depiction also conveyed another victory, namely that of the Christian faith: the Roman soldiers who had once arrested Jesus and marched him to Calvary now walked under the banner of a resurrected Christ. The cosmic significance of the Resurrection in Western theology goes back to Saint Ambrose who in the 4th century said that "The universe rose again in Him, the heaven rose again in Him, the earth rose again in Him, for there shall be a new heaven and a new earth". This theme developed gradually in the West, and later than in the East, where the Resurrection was early linked to redemption and the renewal and rebirth of the whole world. In art this was symbolized by combining the depictions of the Resurrection with the Harrowing of Hell in icons and paintings. A good example is from the Chora Church in Istanbul, where John the Baptist, Solomon and other figures are also present, depicting that Christ was not alone in the resurrection. The depiction sequence at the 10th century Hosios Loukas shows Christ as he pulls Adam, followed by Eve from his tomb, signifying the salvation of humanity after the resurrection. The earliest Christians proclaimed Jesus as the risen Christ. The first Christians may be defined as those followers of Jesus who, after his crucifixion, proclaimed him as the risen lord. The earliest Christian scriptures place Jesus' resurrection at the center of religious faith. The preaching and letters of the apostle Peter in the Acts of the Apostles and the letters of Paul declared that Jesus died, was raised by God and the apostles are witnesses to this resurrection. Géza Vermes who considers the Resurrection one of the fundamental and intriguing concepts of the Christian faith has presented eight possible theories to explain the Resurrection of Jesus. These theories fall between two extremes, ranging from a total denial of the Resurrection to absolute belief in it. The six variants include the theft of the body, recovery from a coma and a spiritual non-bodily resurrection. Vermes dismisses the "two extremes", stating that they "are not susceptible to rational judgment". According to a survey conducted by Gary Habermas; 75% of both conservative and non-conservative New Testament scholars accept arguments in favor of the empty tomb. 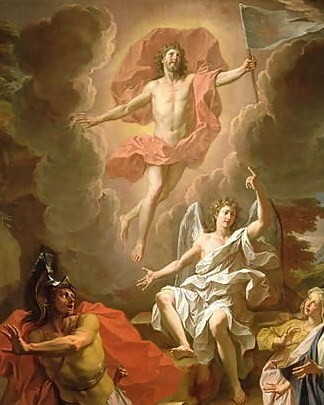 Robert M. Price claims that if the resurrection could, in fact, be proven through science or historical evidence, the event would lose its miraculous qualities. Helmut Koester writes that the stories of the resurrection were originally epiphanies and that the more detailed accounts are secondary and not based on historical records. Reza Aslan states that "the resurrection is not a historical event ... the event itself falls outside the scope of history and into the realm of faith”. I do not regard deliberate fraud as a worthwhile explanation. Many of the people in these lists were to spend the rest of their lives proclaiming that they had seen the risen Lord, and several of them would die for their cause. Moreover, a calculated deception should have produced great unanimity. Instead, there seem to have been competitors: ‘I saw him first!’ ‘No! I did.’ Paul’s tradition that 500 people saw Jesus at the same time has led some people to suggest that Jesus’ followers suffered mass hysteria. But mass hysteria does not explain the other traditions. The resurrection story appears in more than five locations in the Bible. In several episodes in the Four Gospels Jesus foretells his coming death and resurrection, which he states is the plan of God the Father. Christians view the resurrection of Jesus as part of the plan of salvation and redemption by atonement for man's sin. Belief in a bodily resurrection of the dead became well established within some segments of Jewish society in the centuries leading up to the time of Christ, as recorded by Daniel 12:2, from the mid-2nd century BC: "Many of those sleeping in the dust shall awaken, some to everlasting life, and some to everlasting peril". Josephus (1st century AD) gives the following outline: The Pharisees believed in Resurrection of the Dead, and the Sadducees did not. The Sadducees, politically powerful religious leaders, rejected the afterlife, angels, and demons as well as the Pharisees oral law. The Pharisees, whose views became Rabbinic Judaism, eventually won (or at least survived) this debate. The promise of a future resurrection appears in the Torah as well as in certain Jewish works, such as the Life of Adam and Eve, c 100 BC, and the Pharisaic book 2 Maccabees, c 124 BC. It is thus accurate to say that there was nothing innovative or uniquely Christian about belief in resurrection. The earliest written records of the death and resurrection of Jesus are the letters of Paul, which were written around two decades after the death of Jesus, and show that within this time frame Christians believed that it had happened. Some scholars suppose that these contain early Christian creeds and creedal hymns, which were included in several of the New Testament texts and that some of these creeds date to within a few years of Jesus' death and were developed within the Christian community in Jerusalem. Though embedded within the texts of the New Testament, these creeds are a distinct source for early Christianity. 1 Corinthians 15:3-7: "...that Christ died for our sins in accordance with the Scriptures, that he was buried, that he was raised on the third day in accordance with the Scriptures"
These appearances include those to prominent members of Jesus' ministry and the later Jerusalem church, including James the brother of Jesus and the apostles, naming the apostle Peter (Cephas). The creed also makes reference to appearances to unidentified individuals. According to the Acts of the Apostles and Paul's Letter to the Galatians, he had contact with at least two of the named witnesses of the creed, James and Peter. [Gal 1:18-20] Hans Von Campenhausen and A. M. Hunter have separately stated that the creed text passes high standards of historicity and reliability of origin. Just after sunrise on the day after the Sabbath two women, Mary Magdalene and "the other Mary", came to look at the tomb. Accompanied by an earthquake, an angel comes down from Heaven and rolls the rock aside from the tomb. The angel tells them not to be afraid, but to tell the disciples that Jesus is risen and will meet them in Galilee. The women are joyful and set out to tell the disciples the good news, but Jesus appears and tells them not to be afraid, and tells them that he is risen and that they should tell the disciples that they will see him in Galilee. The disciples go to Galilee, where they see Jesus. Just after sunrise on the day after the Sabbath a number of women (Mary Magdalene, Joanna, and Mary the mother of James) come to anoint Jesus' body. They find the stone rolled away and the tomb empty. Suddenly two men stand beside them. The men tell them Jesus is risen. The women tell the disciples, but the disciples do not believe them, except for Peter who runs to the tomb. Peter finds the grave-clothes in the empty tomb and goes away, wondering. Early on the day after the Sabbath, before sunrise, Mary Magdalene visits the tomb and finds the stone rolled away. She tells Peter and "the beloved disciple", who run to the tomb and find the grave-clothes, then go home. Mary sees two angels and then Jesus, whom she does not recognise. Jesus tells her to tell the disciples that he is ascending to the Father, and Mary tells the disciples she has seen the Lord. The Gospel of Peter is attributed to Apostle Peter that describes the trial and resurrection of Jesus. The Book of Mormon contains a 37-page account of the Resurrection of Jesus, in which he appears to the Nephites and Lamanites in the Americas after rising from the tomb and ascending into heaven. He appears to the people and lets them feel the prints of the nails in his hands and feet. He then preaches the gospel to them and establishes his church. The account claims that about 2500 men, women, and children saw and heard the resurrected Jesus Christ. Joseph Smith recorded an experience in which the resurrected Jesus Christ and God the Father appeared to him in the spring of 1820; his experience is known today as the First Vision. In Christian theology, the resurrection of Jesus is a foundation of the Christian faith. [1 Cor 15:12-20] [1 Pet 1:3] Christians, through faith in the working of God[Col 2:12] are spiritually resurrected with Jesus, and are redeemed so that they may walk in a new way of life. [Rom 6:4] As Paul the Apostle stated: "If Christ was not raised, then all our preaching is useless, and your trust in God is useless". [1 Cor 15:14] The death and resurrection of Jesus are the most important events in Christian Theology. They form the point in scripture where Jesus gives his ultimate demonstration that he has power over life and death, thus he has the ability to give people eternal life. Terry Miethe, a Christian philosopher at Oxford University, stated, "? 'Did Jesus rise from the dead?' is the most important question regarding the claims of the Christian faith.'?" According to the Bible, "God raised him from the dead", he ascended to heaven, to the "right hand of God", and will return again[Acts 1:9–11] to fulfill the rest of Messianic prophecy such as the Resurrection of the dead, the Last Judgment and establishment of the Kingdom of God; see also Messianism and Messianic Age. Some modern scholars use the belief of Jesus' followers in the resurrection as a point of departure for establishing the continuity of the historical Jesus and the proclamation of the early church. Carl Jung suggests that the crucifixion-resurrection account was the forceful spiritual symbol of, literally, God-as-Yahweh becoming God-as-Job. The apostle Paul wrote that: "If there is no resurrection of the dead, then Christ has not been raised; if Christ has not been raised, then our preaching is in vain and your faith is in vain... If Christ has not been raised, your faith is futile". [1 Cor 15:13–14, 17]  Many scholars have contended that in discussion on the resurrection, the apostle Paul refers to a rabbinic style transmission of an early authoritative tradition that he received and has passed on to the church at Corinth. For this and other reasons, it is widely believed that this creed is of pre-Pauline origin. Geza Vermes writes that the creed is "a tradition he [Paul] has inherited from his seniors in the faith concerning the death, burial and resurrection of Jesus". The creed's ultimate origins are within the Jerusalem apostolic community having been formalised and passed on within a few years of the resurrection. Paul Barnett writes that this creedal formula, and others, were variants of the "one basic early tradition that Paul "received" in Damascus from Ananias in about 34 [AD]" after his conversion. Paul's views went against the thoughts of the Greek philosophers to whom a bodily resurrection meant a new imprisonment in a corporeal body, which was what they wanted to avoid—given that for them the corporeal and the material fettered the spirit. At the same time, Paul believed that the newly resurrected body would be a heavenly body; immortal, glorified, powerful and pneumatic in contrast to an earthly body, which is mortal, dishonored, weak and psychic. According to theologian Peter Carnley, the resurrection of Jesus was different from the Resurrection of Lazarus as: "In the case of Lazarus, the stone was rolled away so that he could walk out... the raised Christ didn't have to have the stone rolled away, because he is transformed and can appear anywhere, at any time". According to international scholar Thorwald Lorenzen, the first Easter led to a shift in emphasis from faith "in God" to faith "in Christ". Today, Lorenzen finds "a strange silence about the resurrection in many pulpits". He writes that among some Christians, ministers and professors, it seems to have to have become "a cause for embarrassment or the topic of apologetics". :pp.3–4 It has been argued that many Christians neglect the resurrection because of their understandable pre-occupation with the Cross. However, the belief in Jesus' physical resurrection remains the single doctrine most accepted by Christians of all denominational backgrounds. Christianity split with Judaism in the 1st century AD, and the two faiths have differed in their theology since. According to the Toledot Yeshu, the body of Jesus was removed in the same night by a gardener named Juda, after hearing the disciples planned to steal the body of Jesus. However, Toledot Yeshu is not considered either canonical or normative within rabbinic literature. Van Voorst states that Toledot Yeshu is a medieval document set without a fixed form which is "most unlikely" to have reliable information about Jesus. The Blackwell Companion to Jesus states that the Toledot Yeshu has no historical facts as such, and was perhaps created as a tool for warding off conversions to Christianity. Muslims believe that ??s? (Jesus) son of Mariam (Mary) was a holy prophet with a divine message. The Islamic perspective is that Jesus was not crucified and will return to the world at the end of times. "But All?h raised him up to Himself. And All?h is Ever All-Powerful, All-Wise". The Quran says in Surah An-Nisa [Ch004:Verse157] "And because of their saying, "We killed Messiah ? ?s?, son of Mariam, the Messenger of All?h", – but they killed him not, nor crucified him, but it appeared so to them, and those who differ therein are full of doubts". Bahais believe the Qur'an's statement: "And because of their saying, "We killed Messiah ? ?s?, son of Mariam, the Messenger of All?h", – but they killed him not, nor crucified him, but it appeared so to them, and those who differ therein are full of doubts". means that Jesus's Spirit didn't die on the cross, however Bahais uphold that Jesus was actually crucified in the flesh. The Church of the Holy Sepulchre, the ground on which the church stands is venerated by most Christians as Golgotha, the Hill of Calvary, where the New Testament says that Jesus was crucified. This tomb is venerated as the tomb of Christ by the Catholic Church, Eastern Orthodox churches, and Oriental Orthodox churches. The Garden Tomb, discovered in the 19th century, considered the actual site of Jesus' grave by some Protestant Christians. a.^ In a note, Kirby states, "A very abbreviated list of twentieth-century writers on the NT who do not believe that the empty tomb is historically reliable: Marcus Borg, Günther Bornkamm, Gerald Boldock Bostock, Rudolf Bultmann, Peter Carnley, John Dominic Crossan, Stevan Davies, Maurice Goguel, Michael Goulder, Hans Grass, Charles Guignebert, Uta Ranke-Heinemann, Randel Helms, Herman Hendrikx, Roy Hoover, Helmut Koester, Hans Küng, Alfred Loisy, Burton L. Mack, Willi Marxsen, Gerd Lüdemann, Norman Perrin, Robert M. Price, Marianne Sawicki, John Shelby Spong, Howard M. Teeple, and John T. Theodore". b.^ Cavin continues "... even on the assumption of their complete historical reliability ... This assumption, of course, is rightly dismissed in light of contemporary New Testament scholarship". c.^ Robert M. Price points to the accounts of Adonis, Appollonius of Tyana, Asclepius, Attis, Empedocles, Hercules, Osiris, Oedipus, Romulus, Tammuz, and others. Stagg, Evelyn and Frank. Woman in the World of Jesus. Philadelphia: Westminster Press, 1978, p. 144–150. These are: Matthew 28:8–20, Mark 16:9–20 (see also the article on Mark 16), Luke 24:13–49, John 20:11–21:25, Acts 1:1–11, and 1 Corinthians 15:3–9. R. E. Brown, The Virginal Conception and Bodily Resurrection of Jesus (New York: Paulist Press, 1973) pp. 147; cf. Deuteronomy 21:22–23. Richard Bauckham, Jesus and the Eyewitnesses (Eerdmans Publishing Company: Cambridge, 2006), p. 48. B. Gerhardsson, 'Mark and the Female Witnesses', in H. Behrens, D. Loding, and M. T. Roth, eds., Dumu-E2-Dub-Ba-A (A. W. Sjöberg FS; Occasional Papers of the Samuel Noah Kramer Fund 11; Philadelphia: The University Museum, 1989), pp. 219–220, 222–223; S. Byrskog, Story as History—History as Story (Wissenschaftliche Untersuchungen zum Neuen Testament Jerusalem Talmud 123; Tübingen: Mohr, 2000; remprinted Leiden: Brill, 2002), pp. 75–78; Richard Bauckham, Jesus and the Eyewitnesses (Eerdmans Publishing Company: Cambridge, 2006), p. 48. John, Revelation, 1 Peter 1:19, 1 Peter 1:2, and the associated notes and Passion Week table in Barker, Kenneth, ed. (2002). Zondervan NIV Study Bible. Grand Rapids: Zondervan. p. 1520. ISBN 0-310-92955-5. Ignatius makes many passing references, but two extended discussions are found in the Letter to the Trallians and the Letter to the Smyrnaeans. Vermes, Geza (2008). The Resurrection: History and Myth. New York: Doubleday. p. xv. ISBN 978-0-7394-9969-6. Original in italics. Vermes, Geza (2008). The Resurrection: History and Myth. New York: Doubleday. p. 141. ISBN 978-0-7394-9969-6. Robert M. Price, "The Empty Tomb: Introduction; The Second Life of Jesus". In Price, Robert M.; Lowder, Jeffrey Jay, eds. (2005). The Empty Tomb: Jesus Beyond the Grave. Amherst: Prometheus Books. p. 14. ISBN 1-59102-286-X. Helmut Koester, Introduction to the New Testament, Vol. 2: History and Literature of Early Christianity. Walter de Gruyter, 2000. p. 64-65. Aslan, Reza (2013). Zealot: The Life and Times of Jesus of Nazareth. New York: Random House. pp. n.p. ISBN 978-0-679-60353-5. James D.G. Dunn, Jesus and the Spirit: A Study of the Religious and Charismatic Experience of Jesus and the First Christians as Reflected in the New Testament. Eerdmans, 1997. p. 115, 117. Pecorino, Philip (2001). "Section 3. The Resurrection of the Body". Philosophy of Religion. Dr. Philip A. Pecorino. Retrieved 13 September 2007. Harris, Stephen L., Understanding the Bible. Palo Alto: Mayfield. 1985. Barnett, Paul William (2005). The Birth of Christianity: The First Twenty Years (Volume 1 of After Jesus). Wm. B. Eerdmans Publishing. p. 2. ISBN 978-0802827814. John 3:16, John 5:24, John 6:39-40, John 6:47, John 10:10, John 11:25–26, and John 17:3. Terry Miethe in Did Jesus Rise from the Dead? The Resurrection Debate, ed. Terry Miethe (San Francisco: Harper and Row,1987), xi. Quoted by Michael Martin, "The Resurrection as Initially Improbable". In Price, Robert M.; Lowder, Jeffrey Jay, eds. (2005). The Empty Tomb: Jesus Beyond the Grave. Amherst: Prometheus Books. p. 44. ISBN 1-59102-286-X. The ‘‘Parousia’‘ is the term used in the Bible, see Strong's G3952 for details, which includes the Thayer's Lexicon definition: "In the N.T. especially of the advent, i.e.,the future, visible, return from heaven of Jesus, the Messiah, to raise the dead, hold the last judgment, and set up formally and gloriously the kingdom of God". According to the Bauer lexicon: "of Christ, and nearly always of his Messianic Advent in glory to judge the world at the end of this age". Reginald H. Fuller, The Foundations of New Testament Christology (New York: Scribners, 1965), p. 11. Vermes, Geza (2008). The Resurrection: History and Myth. New York: Doubleday. p. xv. ISBN 978-0-7394-9969-6.. Most Fellows of the Jesus Seminar concluded that this tradition dates to before Paul's conversion, c AD 33. Funk, Robert W. and the Jesus Seminar. The acts of Jesus: the search for the authentic deeds of Jesus. HarperSanFrancisco. 1998. "Empty Tomb, Appearances & Ascension" p. 449-495.
see Wolfhart Pannenberg, Jesus—God and Man translated Lewis Wilkins and Duane Pribe (Philadelphia: Westminster, 1968) p. 90; Oscar Cullmann, The Early church: Studies in Early Christian History and Theology, ed. A. J. B. Higgins (Philadelphia: Westminster, 1966) p. 66–66; R. E. Brown, The Virginal Conception and Bodily Resurrection of Jesus (New York: Paulist Press, 1973) pp. 81; Thomas Sheehan, First Coming: How the Kingdom of God Became Christianity (New York: Random House, 1986) pp. 110, 118; Ulrich Wilckens, Resurrection translated A. M. Stewart (Edinburgh: Saint Andrew, 1977) p. 2; Hans Grass, Ostergeschen und Osterberichte, Second Edition (Göttingen: Vandenhoeck und Ruprecht, 1962) p. 96; Grass favors the origin in Damascus. Barnett, Paul William (2009). Finding the Historical Christ (Volume 3 of After Jesus). Wm. B. Eerdmans Publishing. p. 182. ISBN 978-0802848901. Corinthians 15:42-49 with commentary by Dale B. Martin, The Corinthian Body, Yale University Press, 1999. ISBN 0-300-08172-3 p. 126 in particular. Lorenzen, Thorwald. Resurrection, Discipleship, Justice: Affirming the Resurrection of Jesus Christ Today. Macon, Georgia: Smyth & Helwys, 2003, p. 13. Price, Robert M.; Lowder, Jeffrey Jay, eds. (2005). The Empty Tomb: Jesus Beyond the Grave. Amherst: Prometheus Books. pp. 256–257. ISBN 1-59102-286-X. Robert M. Price, "The Empty Tomb: Introduction; The Second Life of Jesus". In Price, Robert M.; Lowder, Jeffrey Jay, eds. (2005). The Empty Tomb: Jesus Beyond the Grave. Amherst: Prometheus Books. pp. 14–15. ISBN 1-59102-286-X. Newbigin, Lesslie (1989). The Gospel In a Pluralist Society. Eerdmans. ISBN 2825409715. Allison, D.C. (2004). Matthew: A Shorter Commentary. T&T Clark. ISBN 0567082490. France, R.T (2007). The Gospel of Matthew. Eerdmans. ISBN 9780802825018. Burkett, Delbert Royce (2002). An introduction to the New Testament and the origins of Christianity. Cambridge University Press. ISBN 0521007208. Wikimedia Commons has media related to Resurrection of Christ. This page was last modified on 18 July 2014 at 14:33. Thanks for visiting our on-line directory resource site for Jesus Christ. Be sure to check out the useful Related Search options at top left featuring categories relevant to your quest. The More Info tab takes you to additional resources in the interesting field of Jesus Christ.